EDGI Member, Op-Ed reblogged from Vox Media. That screeching sound you hear this Earth Day is the sound of our federal government making a U-turn on the environment. What a difference a year and an election have made. Last April 22, the United States was making notable progress on some of our toughest environmental problems. Grassroots mobilizations and other forms of pressure helped nudge America’s political leadership to halt pipelines and craft new policies on climate change, fracking, and toxics. The rest of the world, even China, was coalescing around a commitment to curb greenhouse gases, and the Paris accord had been signed into force. Trump’s electoral victory has changed much of that. As part of Steve Bannon’s agenda for the “deconstruction of the administrative state,” Trump’s appointees are sharpening their axes for environmental agencies and science. Among their targets: Obama’s climate policies, and the EPA’s budget, which they’ve proposed to cut by 31 percent. It’s ironic that today’s Republicans see America’s environmental state as such a liability, given that Republican presidents had such a big hand in constructing it. In the early 20th century Teddy Roosevelt pushed a federal system of parks, forests, and monuments. In 1970, it was Richard Nixon who created the Environmental Protection Agency and signed many foundational laws. Even during the last Republican administration of George W. Bush, longtime EPA employees have told me there was considerable if often tacit support by party leaders. So how has the current Republican anti-environmentalism come so far so fast? Why this extreme Republican animus toward the environmental state? For starters, it helps to recall where the strongest environmental support came from in the 1960s and 1970s, during the great bipartisan build-out of America’s environmental laws and agencies: those regions where urbanizing and industrializing had gone the furthest, across the cities of the coasts and the Great Lakes and especially in their suburbs. A new political language of “the environment” was born along urban edges; it interwove homeowner concerns about pollution and developer intrusions that state and local governments had failed to address. Once new federal agencies stepped in as the environment’s defender, however, this regime itself became a political foil for new anti-statist coalitions between suburban and rural voters. One strand of coalition-building emerged in the 1970s in the western states, where a so-called Sagebrush rebellion erupted among ranchers, miners, and other larger property owners upset over new environmental restrictions. Aspiring Republican politicians rode these issues into legislative takeovers in states like Colorado in 1976, by drawing support not just from rural but also from suburban voters. 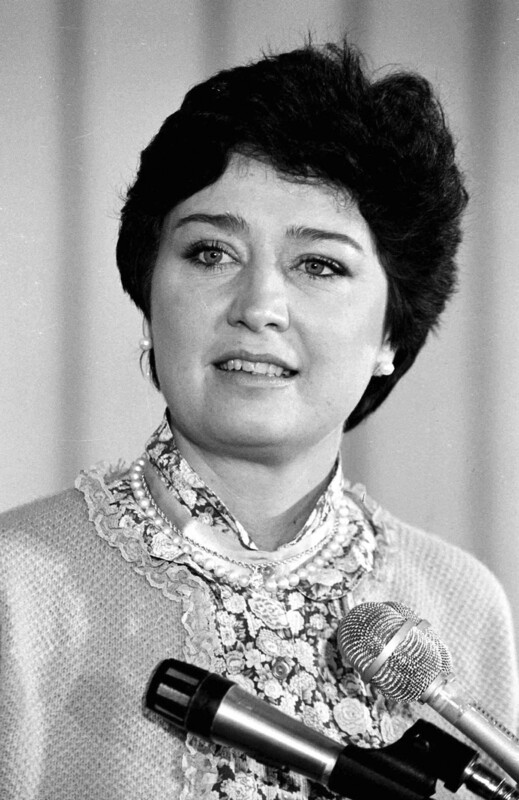 Among the victors was a 34-old Republican lawyer named Anne Gorsuch representing Jefferson County, on Denver’s edge, who railed against regional planning as well as federal regulatory “overreach.” When reelected, Gorsuch attracted sufficient attention for former California governor Reagan to bring her in as advisor to his own conservative campaign for the presidency. The other strand of early anti-environmentalism ran through the South, where traditional Democratic dominance was in flux. Democrats like then-Georgia governor Jimmy Carter embraced environmental causes. Some Republicans did as well. When college professor Newt Gingrich ran for Congress starting in 1972 in a West Georgia district extending into Atlanta’s suburbs, it made sense that he did so both as a Republican and an environmentalist. But Gingrich kept losing until he noticed that rural lifelong Democrats rejecting his candidacy turned out repeatedly for a John Bircher Democrat running in a neighboring district who publicly questioned the constitutionality of both the EPA and national parks. Taking the cue, Gingrich won his first of many Congressional races in 1978 by dialing down his environmental rhetoric and cozying up to local industries that had run afoul of the new agencies and laws. Riding these political tides to the White House, the early Reagan administration undertook a frontal assault on environmental agencies and regulation much like what we are now seeing. Gorsuch stepped into the EPA’s helm, hatching plans to cut its budget and personnel by half. Her Colorado colleague over at the Interior Department, James Watt, sought a similar devolution of control over federal lands; OSHA and FDA were also targeted. But for these Republican anti-environmentalists, the power of the Presidency was not enough. A Democratic Congress, still bolstered by the party’s Southern bloc, stood in the way. Democratic committee chairs geared up for Congressional hearings that spotlighted the ensuing consequences and corruption at agencies under fire. The hue and cry then raised, and courtroom battles the Administration then lost, turned out to be much more than it had bargained for. Within two years, Gorsuch and Watt had resigned and restoration of federal environmental agencies was underway. A seminal Supreme Court decision in 1984, Chevron, Inc. vs NRDC, required judicial deference to environmental and other agencies’ interpretation of statutes, confirming their authority to regulate. As moderate Republicans took over, federal environmental budgets and operations were restored, but the grounds were also being laid for a next war on the environmental state. The Heritage Foundation, established in the 1970s, enjoyed a heyday as an idea factory for tugging the administration to the right, and new think tanks established in the mid-1980s like the Competitive Enterprise Institute and the Thomas Jefferson Institute for Public Policy came to nourish a special hostility toward the climate issue. In the South, as well, enterprising Republicans such as Gingrich successfully moved to convert white Democratic voters to their party. 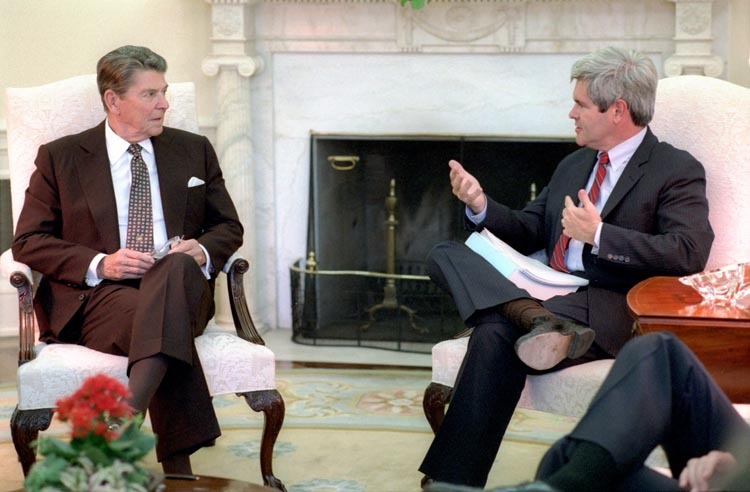 Racial and geographic realignments over the 1980s and ‘90s favored the anti-environmental Republicanism Gingrich now sought. Better-off black Americans moved to suburbs of their own, as civil rights groups spearheaded a new movement for “environmental justice.” White environmental groups gained bases in well-off older suburbs as well far-flung newer ones, but energy concerns inclined them to identify with a gentrifying downtown and the “walkability” espoused by a New Urbanism. At the same time, black majority districts were also being created to bring racial equity to Georgia’s Congressional delegations, starting with the 5th district, which was won in 1986 by John Lewis. Black representatives became the state’s foremost supporters of environmental causes in Congress. This shift in Georgia environmentalism, fortified by redistricting, served Gingrich and the Georgia Republican Party extraordinarily well. With environmental causes coded in these ways, down-playing or opposing them shored up electoral support among rural as well as many suburban whites, especially the working class. Through gerrymandering Republicans worked to pack more blacks into fewer of Georgia’s Congressional districts, making most other districts whiter. The Republican takeover of Congress in 1994 commenced a second war on the federal environmental state. Gingrich’s Contract with America, which helped Republicans win, embodied the new stealth strategy of attack. The contract said nary a word about any environmental issue; instead, it called for all manner of restraints on “regulation.” Yet its proposals—for instance, requiring government compensation for regulation-related declines in property value–would have hand-cuffed agencies like the EPA, as environmental groups began pointing out. Anti-environmental Republicans’ initiatives in Congress faced a formidable barrier in the White House: Democrat Bill Clinton, veto pen in hand. However limited its successes, the contract augured where anti-environmental thinking and strategizing would be headed in subsequent decades. 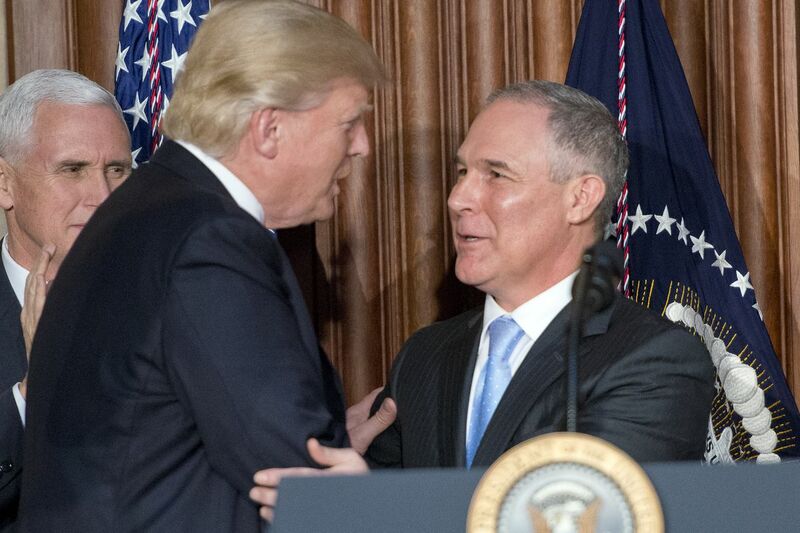 The goal was not just to prevent new environmental laws but to stymy agency initiatives based on older statutes, through assertions of congressional power. Meanwhile, anti-environmental conservatives got busy in other ways. New think tanks blossomed especially around climate and energy policy. Beyond the biblical literalism of allied evangelicals, newly sophisticated ways of attacking environmental sciences arose that appealed to doubt and uncertainty, coins of the scientific realm itself. Their public outreach was especially impressive. From talk radio to Fox News to Breitbart, alternative public spheres coalesced as echo chambers, where climate science could be regularly parried and parodied and conservative precepts about government overreach perpetually reinforced. Trump’s 2016 victory was a testimony their successes. This time around, a stealth anti-environmentalism was no longer necessary; he unapologetically denied climate change and despised the EPA. Capitalizing on post-recession bitterness, he not only won the South and Mountain West, he became the first Republican in a generation to win several northeastern and Midwestern states, where environmentalism had long been strong. The anti-environmental Republicans now in charge enjoy advantages over their predecessors of 1981 and 1994 that seem veritably monumental. Their party controls both the presidency and both houses of Congress. Well-seasoned conservative think tanks have staffed the transition and “beachhead” teams; they’ve imported ready-made plans for the first year’s budget and personnel cuts. A host of bills making their way through Congress seek to end individual regulations and the EPA itself, even to reverse the Chevron decision. And with the ascension of Anne Gorsuch’s own son, Neil Gorsuch, to the Supreme Court, they may now enjoy a courtroom edge. That strategy entailed a canny grasp of a political weakness in our environmental state which its supporters (myself included) have been slower to recognize or address. Internal agency deliberations have preoccupied environmental groups as well as many of the thousands who have come to work in our many environmental professions, swallowing up most attention and energy. Certainly there was a need to counter business influences on rule-making. But this orientation, along with our sense of environmental progress, have come to rest too exclusively on proceedings inside the executive branch. They have raised a specter of technocracy, of a rule by experts and allied elites that anti-environmental conservatives have effectively exploited. In the process, supporters of environment protection have been thoroughly outflanked. This perfect storm of anti-environmental conservatism now seems poised to strike against our environmental agencies and laws with a destructive force never before seen in our modern era. In response, environmental groups, hitherto quiescent environmental professionals, and more — all Americans who care about the health of our country and our planet — need to find new ways and means of mobilizing against it, and fast. Success against earlier assaults offers cues for today’s opposition. As our Republican Congress is unlikely to wield the hearings and subpeonas that brought down Gorsuch and Watt, others must step in. Journalists, environmentalists, former and current agency officials, any and everyone with a story to tell, need to get word out about the coming cuts, corruption, and their fallout, making the most of all tools at hand, from marches to digital and social media. The skepticism that today’s conservatives have been able to stir about science is especially worrisome, for it strikes at the heart of how modern environmental regulation works. Scientific understanding and data offer our best window into environmental conditions and problems; without them, our environmental statutes would have little direction, and the resulting policies no teeth. Swelling efforts to save government data as well as to “March for Science” have opened important new avenues for activism, distinctive to our own time. What also needs to be made clear is that in the realms of environment and health, science’s importance is hardly just for scientists alone. It also serves those places and people whose conditions it studies, and ideally, whose problems it illuminates not just for experts and policy-makers but for all. Science, we’d do well to argue, is not some elitist conspiracy, but vital to environmental democracy. The fight for the environment still needs to be carried into agency hearings and courtrooms; for that, the big environmental groups are getting ready. But additional battle lines must be opened in town halls and in local electoral politics. After all, decades of smaller victories there have now positioned Republicans to make good on Trump’s anti-environmental campaign promises. Any roadmap toward a more pro-environment Congress must begin not so much in the cities — already heavily Democratic — as in our suburbs, where modern environmentalism itself was born. Though they are now widely derided and written off in environmental circles, suburbs have emerged as the great swing zones of American politics, even as many are surprisingly prone to green retrofits. Districts like Georgia’s 6th, once held by Newt Gingrich and currently conducting a special election, offer a first, best hope for electing a Congress that will rebuff the Trump anti-environmental agenda. Challenges to that agenda will stand a better chance if they can also stoke the embers of an older pro-environment Republicanism that continue to glow. Despite lock-step messaging from their leaders, media, and big donors, conservative constituencies such as hunters still support protecting public lands, and around half of all Republicans do worry about climate change. Those of us who would defend our nation’s environmental defenses, a vital yet under-appreciated legacy of the last half-century, need to examine the recent successes of anti-environmental conservatism and learn. Only a similarly determined, broad, and long-term quest for electoral influence will enable pro-environmental politicians to push back. Then, in the hopefully not too distant future, we’ll be able to repair the damage that has only just begun. Christopher Sellers is professor of history at Stony Brook University, a fellow at the Wilson Center, and on the steering committee of the Environmental Data and Governance Initiative (EDGI). He is the author of Crabgrass Crucible: Suburban Nature and the Rise of Environmentalism in 20th-Century America, and forthcoming books on the history of environmental politics in Atlanta, Texas, and Mexico.